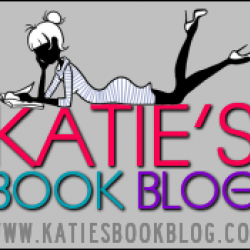 Money Run - Jack Heath - review - Katie's Book Blog!! 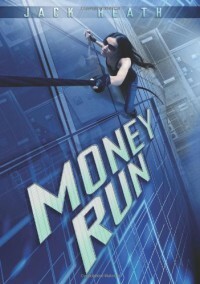 I don't know what I expected from Money Run but what I got was a fun, fast-paced read that reminded me a lot of Ally Carter's Heist Society series. Ashley Arthur is a character whose story is far from over and I can't wait to read more about her. Ashley is a cunning, brave, sometimes idiotic thief. She works with her best friend, Benjamin, who is the brains behind the heists. He's funny and smart and works very well with Ashley, even if he is just behind the scenes. There are also three other people who play a big part in the story. First is Hammond Buckland, the guy that Ashley and Benjamin are trying to steal 2 million dollars from. I expected him to be a rich, pompous jerk and I was really surprised when he was actually a down to earth person. Then there was Peachey, the assassin sent to kill Buckland. It was really creepy reading from his point-of-view. Last but not least there was the detective investigating a murder at the Buckland corporation headquarters that ended up right in the middle of everything going down. I really liked him even though he was working against Ashley. He was smart and very obviously a good guy.Money Run is a rather short book and it's a supremely quick read. There's always something going on which makes it almost impossible to put down. The situations that Ashley gets into and the shenanigans that ensue are crazy and totally hilarious. There is some more serious stuff going on (I mean, there is an assassin) but it never weighs down the story. Money Run will leave you with a smile on your face!Jack Heath's writing is nothing special but it's good. Also, Jack Heath is an Australian author and it's clear through his style of writing. Personally I love reading Australian and British writing but I know some people don't so I just thought I'd put that out there. It's nothing that will detract from your enjoyment of the book but it is noticeable. Overall, Money Run is the perfect read for a rainy day. It's a thoroughly enjoyable read and I can't wait to continue the series.